In Nashville, New Year’s Eve is no joke! From free events downtown to pricey evenings in fine hotels, we’ve got a little of everything going on. Maybe you’re new to town and wondering what’s happening in your neck woods or maybe you’ve lived here all your life and just want to try something new. Either way, you may find what you’re looking for in this small sampling of Nashville New Year’s Eve what-to-dos. When you think of Nashville New Year’s, you can’t help but think of the downtown music note drop at the Jack Daniel’s Music City Midnight New Year’s Eve party. This year, Keith Urban and Styx headline the show and the event is filled with free live music, fireworks, and the Music Note Drop® at midnight. Other performances this year will include Moon Taxi, A Thousand Horses, Charlie Worsham, and The Fisk Jubilee Singers. Get more details. ONE TICKET FOR FOUR NASHVILLE NEW YEAR’S PARTIES! 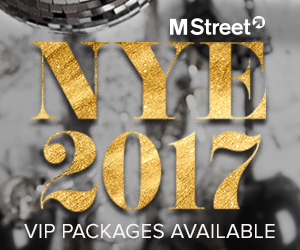 M Street’s annual New Year’s Eve Party runs from 9:00pm to 2:00am and attendees will be able to move about between The Rosewall, Virago, Saint Anejo and Whiskey Kitchen, all conveniently located on McGavock Street in the Gulch. Every location will have a toast and balloon drop at midnight. The Rosewall will be the lead party space, featuring DJ Chief Maverick out of L.A., as well as a light show. Get more details. Ring in the new year at one of Nashville’s newest bars! Kung Fu Saloon has an abundance of entertainment, with vintage arcade games, foosball, Skee Ball, shuffleboard, and more. Guest DJ Protege out of Austin will be providing the jams. Doors open at 8pm. Get more details. Feel like dressing up and giving back? The W.O. 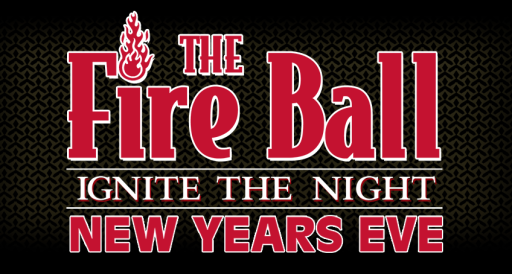 Smith Junior Advisory Board and The Phoenix Club are hosting the annual *ALL INCLUSIVE* Fire Ball “Ignite the Night” New Year’s Eve party from 9:00pm to 2:00am at W.O. Smith School of Music. This event is black tie optional, so a little “fancier” than most Nashville New Year’s Eve parties. There will be a top-shelf open bar with plenty of fireball, heavy hor d’oeuvres, and a Party Fowl breakfast buffet at midnight. Get more details and purchase tickets. Walk the red carpet to The Country and take part in their Hollywood supper club style New Year’s Party. The venue is being completely transformed to match the theme and guests will enjoy a buffet dinner, specially crafted cocktails, local beers, a photo booth, and music by retro pop-soul artist Lydia Brittan followed by Groove Addiction. Dress to impress! 21+ Get more details. Enjoy an evening of live music by Forlorn Strangers, Jon Reynolds, Devon Gilfillian, and special guests along with great craft brews and skyline views from Little Harpeth Brewing. Doors open at 9pm and music kicks off at 9:30pm. Get more details. Etc. in Green Hills is hosting a Nashville New Year’s Eve dinner including a prix fixe menu. Expect delicious items like truffled potato ravioli, ginger infused butternut squash, seared grouper, and Tennessee buttermilk panna cotta. Reservations are required. Interested in something South of Nashville? 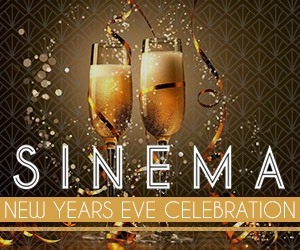 Sinema will be serving a Nashville New Year’s Eve dinner. Reservations are required for the special four-course dinner starting at 5:30pm. An upstairs lounge party will begin at 9:00pm to give a spot to celebrate after dinner. Get more details. Not Seeing the Perfect Event for You? Visit NashvilleGuru.com for more options. You’re sure to find the right fit. Nashville New Year’s definitely has something for everyone!